LOL! 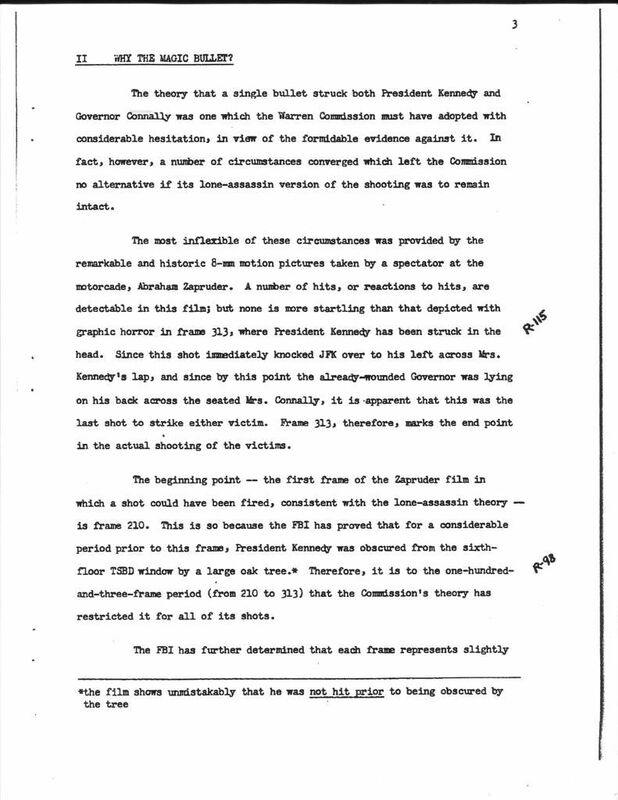 There's every reason to believe Connally was struck substantially earlier than Z338, and practically no reason to believe Kennedy was struck as "early as Z210." Both men appear to first react (and simultaneously) Z225-226. This is consistent with both men being struck at about z223. Both men appear to first react (and simultaneously) Z225-226. You realize that this isn't any more convincing than "Connally appears to be reacting to a bullet strike immediately prior to frame 238". Right? alleged murder weapon couldn't be physically fired quickly enough to be responsible for both. 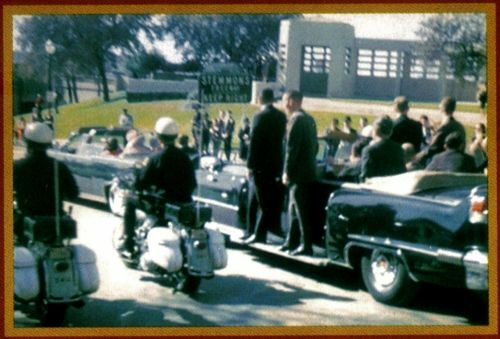 In the drawing at right, do you realize that if that was the way the two men were lined up, and the bullet entered JFK where shown, that bullet could not make it to Connally's right armpit without going through JFK's cervical vertebrae? Thanks, Bob the Forensic Pathologist. And I was under the false impression the spinal column was at the body's midline. That's nice. But Willis specified the time of the first shot as being between his No.4 slide (Z133) and No.5 slide (Z202). 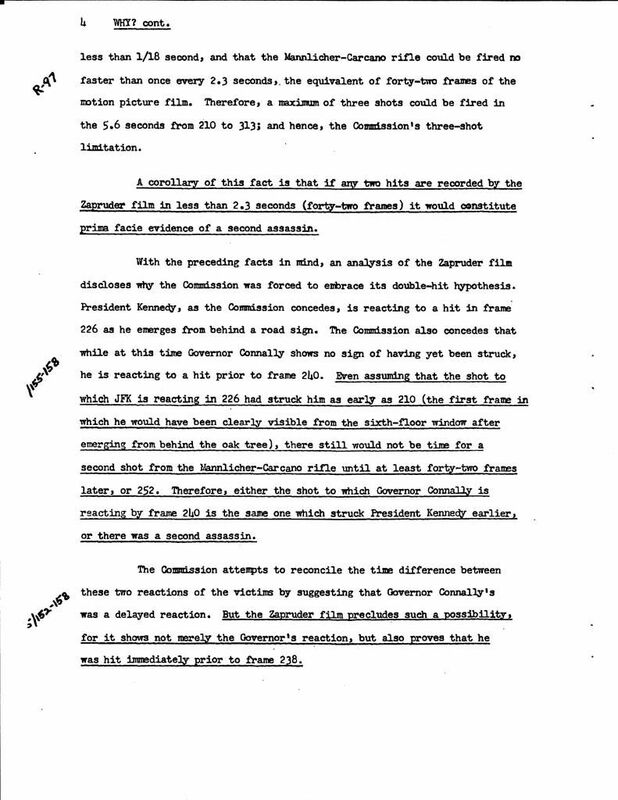 He based this on the sound of the shot causing Mrs. Kennedy to turn her head from Willis' side of the street to the opposite side. 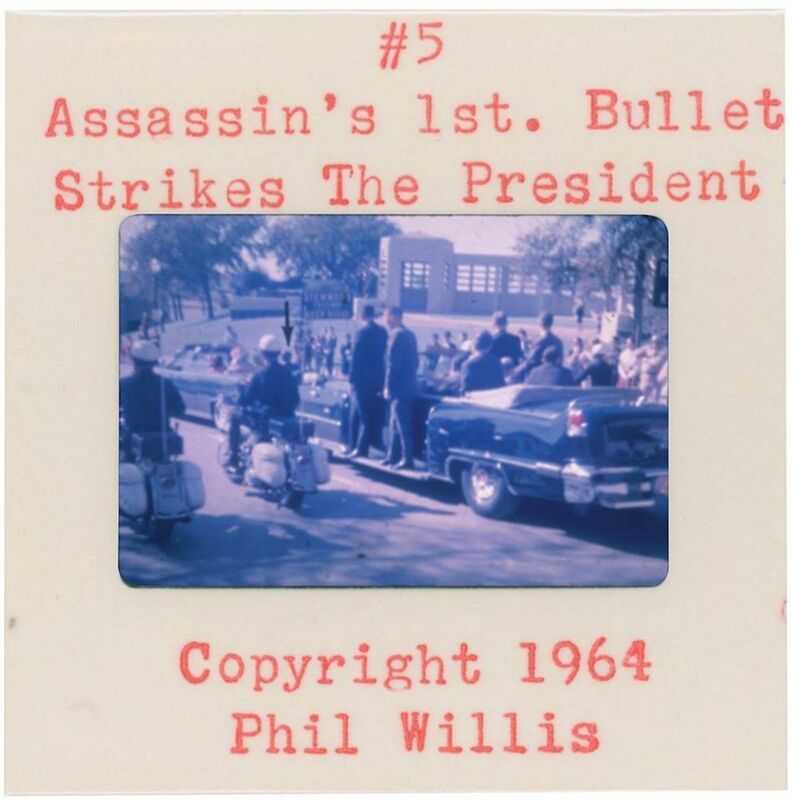 I'm sure Willis figured he could sell more slides if he could get people believing the No.5 slide was taken "simultaneously" with the first shot and that the shot struck the President. of that shot startled him. . . .
Phil Willis took his photograph when the first shot was fired. That photograph was taken at z190. Which time stamps the first shot at z190. And James Altgens took his photograph when the first shot was fired. That photograph was taken at z255. Which time stamps the first shot at z255. When are CTers going to learn not to accept the memory of witnesses as the Truth of God? Willis photo #5 coincides with Z-205. Mr. WILLIS. No, sir; I took that picture just seconds before the first shot was fired, to get back close up. Then I started down the street, and the regular weekly edition of Life magazine came out and shows me in about three different pictures going down the street. Then my next shot was taken at the very--in fact, the shot caused me to squeeze the camera shutter, and I got a picture of the President as he was hit with the first shot. So instantaneous, in fact, that the crowd hadn't had time to react. 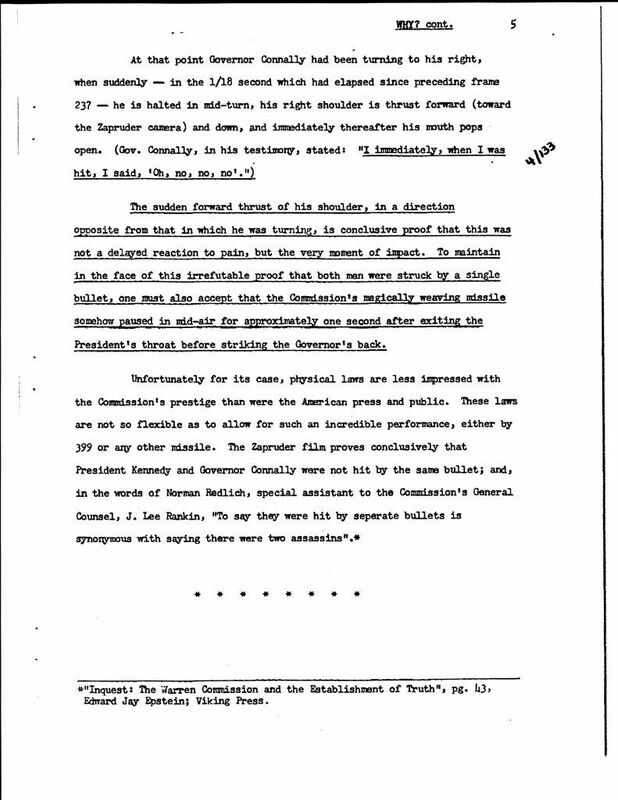 "What we see here is in my eyes clearly the impact-moment of the shot which hits Kennedy in his back." LOL The bullet would have hit his hands. Where did you get the silly idea that the Willis photo was taken at Z190? You accept the memory of witnesses when it suits you.